Do you want to know how to get to Incheon airport from Eco Hotel Seoul? There are many ways you can get to Incheon airport from Eco Hotel Seoul such as public transportation (bus, subway / metro), taxi and Blacklink limo/transfer/shuttle service. Don't sweat outside waiting for other transportation with your luggage. Make a round trip reservation with Blacklink as you plan for your trip. It is easy, convenient and available 24/7. Then, the assigned Blacklink driver will greet you at the arrival and will drive you to the Eco Hotel Seoul. You can use Blacklink for not only hotel but also Gimpo Airport (GMP), Myeongdong, Jongno-gu, guesthouse, resort, airbnb, lodging and anywhere you want to go in Korea. Check out Blacklink customer review posted below. 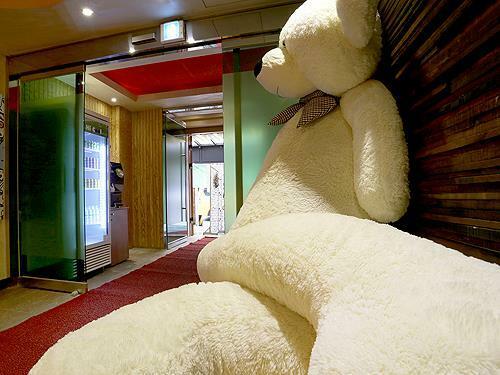 This cosy motel in Seoul provides free wireless internet, as well as a 24-hour reception and luggage storage. It also features a laundry service and a lift. 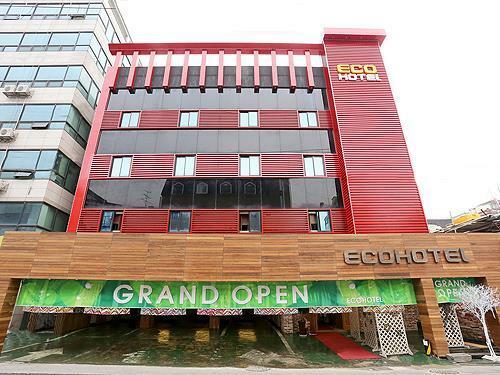 Eco Hotel Seoul provides 18 air conditioned rooms equipped with all the necessities to ensure an enjoyable stay. Each one features a flat-screen TV with cable channels, in addition to a private bathroom. 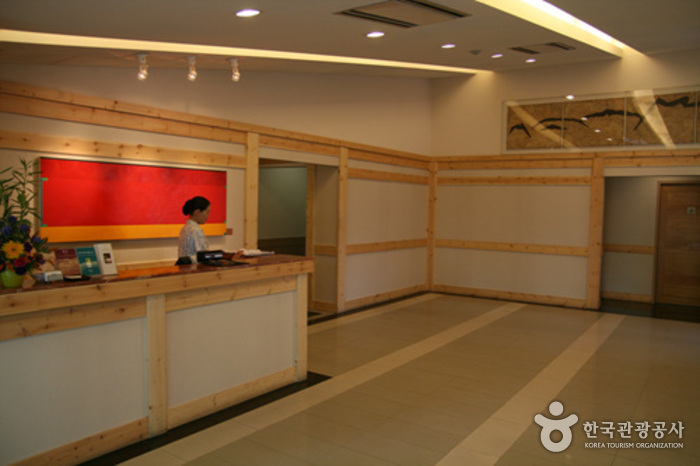 Eco Hotel Seoul provides free private parking on site and is an easy drive from Hongdae Area. It is within a 20-minute stroll of Ujangsan Subway Station (Line 5), which allows for easy access in and around Seoul. Opened on May 1st, 2002, the Wolrd Cup Park was once a 15-year-old landfill that held over 92 million tons of garbage. The park is located near Seoul World Cup Stadium, and is made up of five smaller parks - Pyeonghwa (Peace) Park, Haneul (Sky) Park, Noeul (Sunset) Park, Nanjicheon Park, and Nanji Hangang Park. 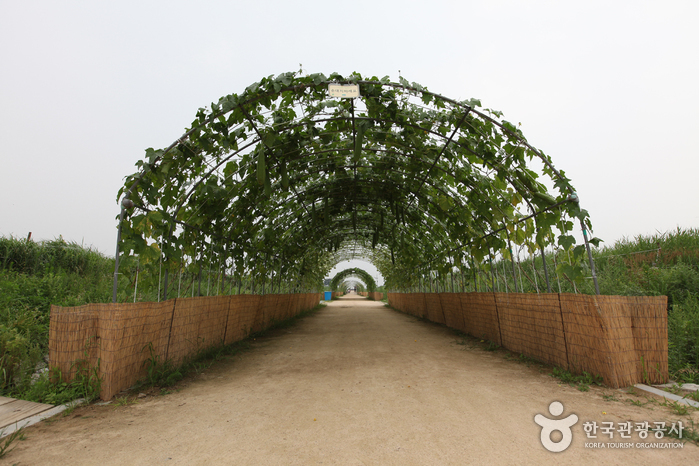 * Pyeonghwa Park: Closest to Seoul World Cup Stadium, it holds a pond, garden, children’s playground, and forest. As a representative park of World Cup Park, the park was designed in hopes of peace and harmony between mankind and nature. It is often used as a picnic area and place for nature studies. * Nanji Hangang Park: Nanji Hangang Park was developed on the banks of the Hangang River. In contrast to other Hangang River parks, Nanji Hangang Park is a water-friendly park that has a gradual slope towards the riverbank. The park consists of a camping ground, soccer field, basketball court, grass field, cruise ship port, and an area for nature studies. * Haneul Park: Haneul Park consists of vast grassland located at the highest elevation of the five parks. The park's pasture is covered with eulalias and wild flowers in their most natural state. In addition, 30,000 butterflies of different species were introduced in 2000 to stabilize the ecosystem. Five wind-powered generators provide power to the park and the park’s maintenance office. Once a mountain of garbage, it is now a green hill with 22 lookout points offering breathtaking views of Seoul, including the N Seoul Tower, Bukhansan Mountain, and Hangang River. Tall trees are line the park to provide shades and serve as resting spots for visitors. As a popular spot to enjoy the sight of eulalias, the park usually remains open until late in the evening during the Eulalia Festival period. * Noeul Park: In order to prevent the vast area of land of what was once a wasteland from becoming an unnecessary chunk of land, a nine-hole golf course was constructed in what is now known as Noeul Park. The golf course serves as an environment friendly entertainment park to visitors while stabilizing the geographical formation and has an urban park nearby that offers scenic views of the Hangang River and beautiful sunset. Located west of the golf park is Noeul Square, decorated with shrubs and flowers. * Nanjicheon Park: Nanjicheon Park was developed from the Nanji Stream, which flowed under Haneul Park. It was once overflowing with sewage runoff from a nearby landfill, but it has since been beautifully restored into a park with clear water. The park is built to serve as a recreational spot for those with for youths, elders, and people with disabilities. Seonyudo Park in Yanghwa-dong is one of Seoul's most famous parks. Connected to the mainland by a beautiful, arching bridge, the island was once an area of industry. The Hangang River History Museum exhibits geological features, ecosystem and cultural heritages of this surrounding region. An aquatic Botanical Garden provides much information on the growth and purification process of aquatic creatures. In particular, the time garden is very popular among visitors for its unique structure of every small garden that has various seasonal flowers and plants. Seonyugyo (Seonyudo bridge), which links Hangang river’s Seonyudo Park & Yanghwa Area with Seonyudo is made of environmentally-friendly wood. The arch-shaped bridge, also known as a Rainbow Bridge, gives out an exotic light every evening. The bridge is one of the most beautiful night views of Seoul. As part of the Hangang Renaissance project, Nanji Hangang Park will be transformed into an eco-friendly theme park that should attract visitors from around the world. 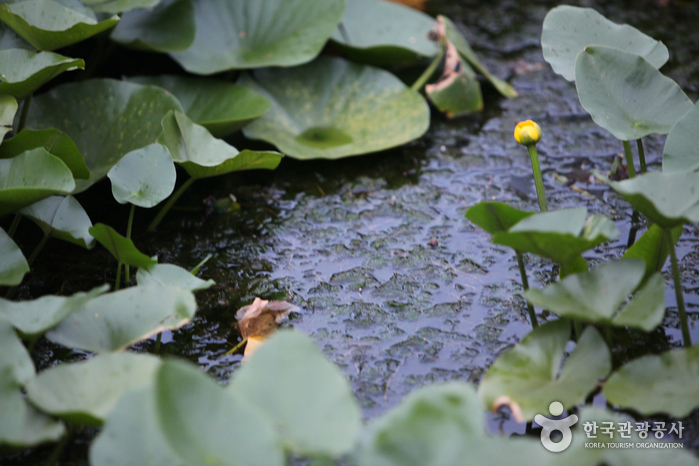 The Park will feature the Nanji Eco-Wetland, Nanji Campground and a marina. Also, there will be a specially designed area where visitors can enjoy extreme sports such as inline skating and BMX. A riverside swimming pool, the Water Plaza, and a riverside stage will be set up as well. Visitors will be able to relax and take a leisurely stroll around the park. The fully equipped Nanji Campground will open first in August 2009. 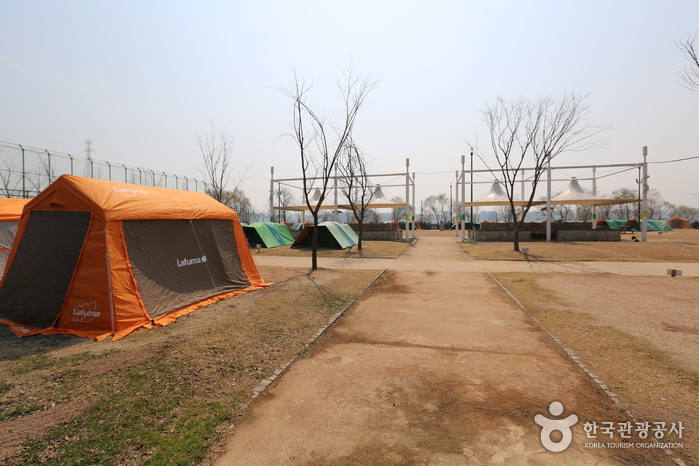 The campsite is complete with all the items and facilities needed for camping, such as 24-hour-shower rooms, tents, and BBQ grills. This camping site is open to everyone. Nak Won is a Korean restaurant located in a natural setting. 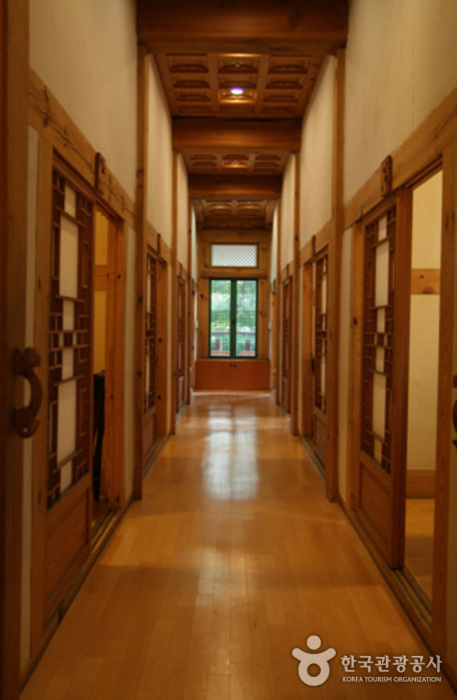 It has a large clean hall and traditional Korean-style rooms for family, business, and other forms of group dining. Nak Won has a large garden with trees and grass. It’s been specializing in galbi for 26 years. Lotte Mall Gimpo Airport is Korea’s first and largest lifestyle shopping complex with shops, hotel, entertainment facilities, and theme park all in one place. 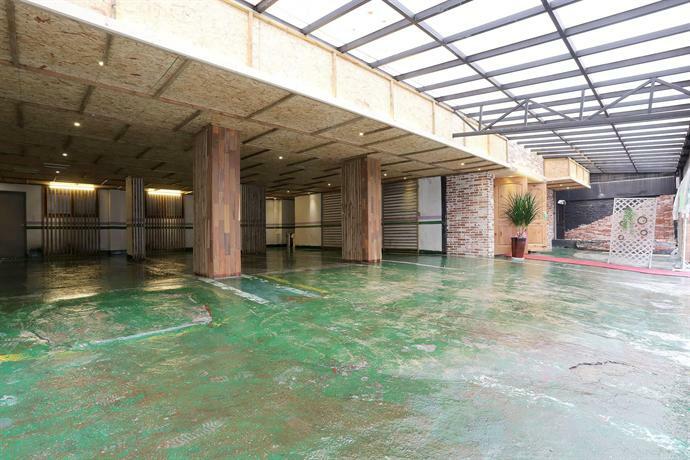 It has 5 basement floors and 9 above-ground stories built on a large 195,000㎡ field. The complex is surrounded by a natural ecological park named ‘Sky Park.’ On the top of the complex is an observatory from which people can see airplanes landing or taking off at the Gimpo Airport. With Subway Lines 5 and 9, and Airport Railroad (AREX) connected to the mall by an underground walkway, it is easily accessible by public transportation. 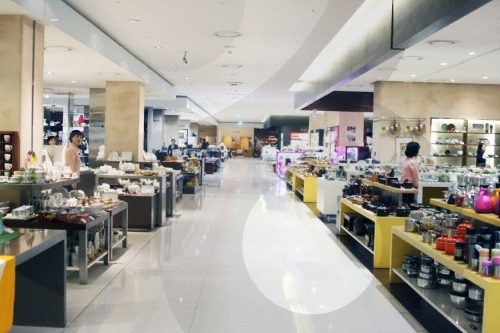 Located in Seoul Yangcheon-gu Mok-dong, the Hyundai Department Store Mokdong Branch presents a wide variety of goods and friendly services under the motto "Blooming Cultures". 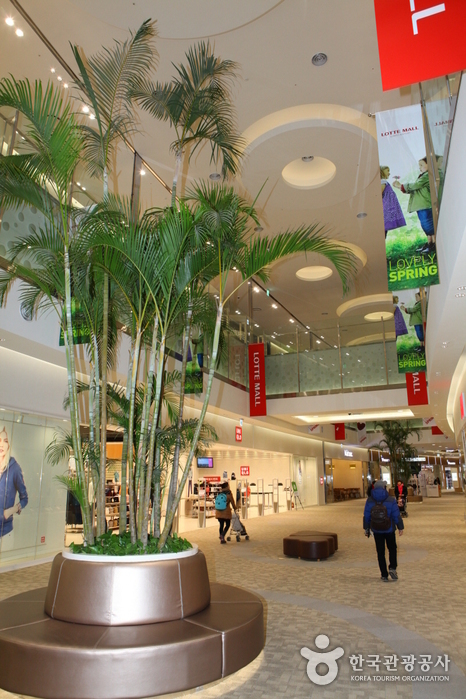 The department store offers everything from famous Korean brand names and imported luxury brands including fashion apparel, accessories, sportswear, and more for an enjoyable shopping experience. Hours of operation are from 10:30am to 8:00pm daily. The department store is closed for one Monday each month. For exact closing dates, please refer to the department store’s official homepage. E-mart is a discount supermarket operated by Shinsaege, a department store franchise. 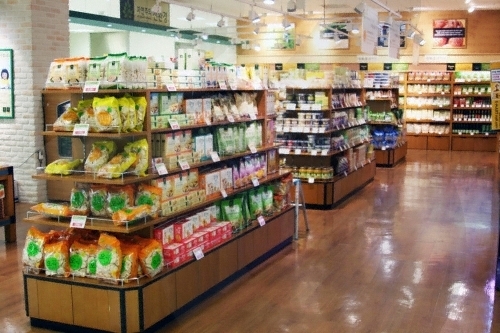 As it is connected to Jeungmi Subway Station (Seoul Subway Line 9), E-mart Gayang is a convenient place to shop for a wide variety of high quality good at affordable prices.